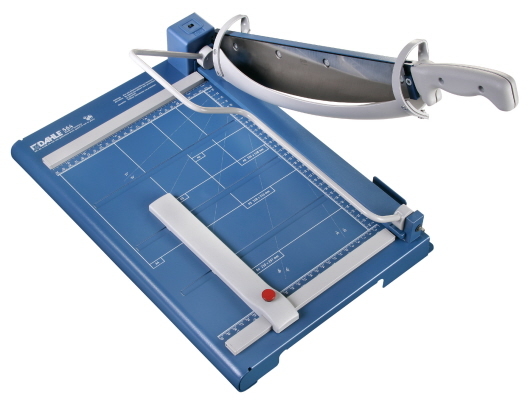 Guillotines paper cutters make easy work of cutting 15 sheets or more of paper at a time. Dahle Guillotine blades will not fly up or drop down and use either a finger guard or rotary safety shield to prevent injury. Dahle Lever Style Cutters are the choice of professionals. 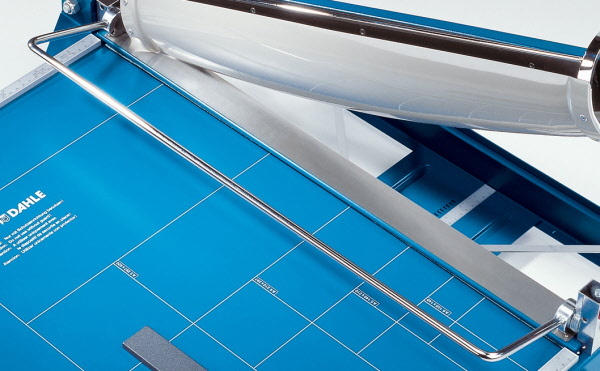 Dahle Professional Guillotines are designed for heavier applications and are equipped with a ground self-sharpening blade. 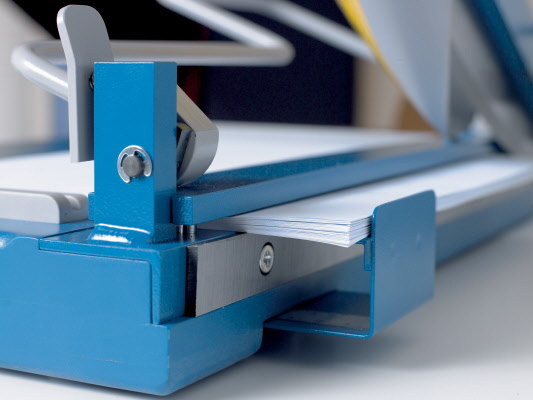 With a cutting capacity of up to 15 sheets of paper at a time, they are perfect for cutting paper, card stock and illustration paper. 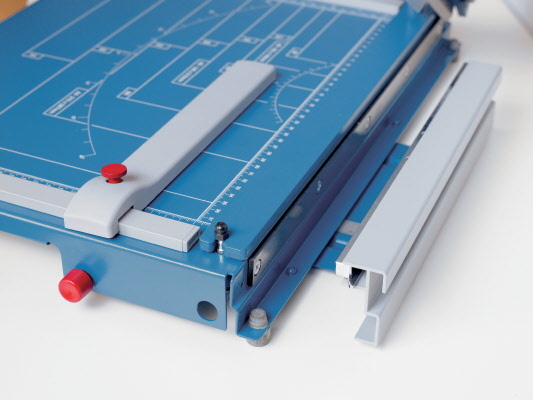 Dahle Premium Guillotines are designed for heavy duty applications where precision and safety are essential. These cutters feature a massive ground blade that is protected by a safety shield. This innovative shield automatically covers the blade throughout the entire cutting process and prevents hands from being in the wrong place. 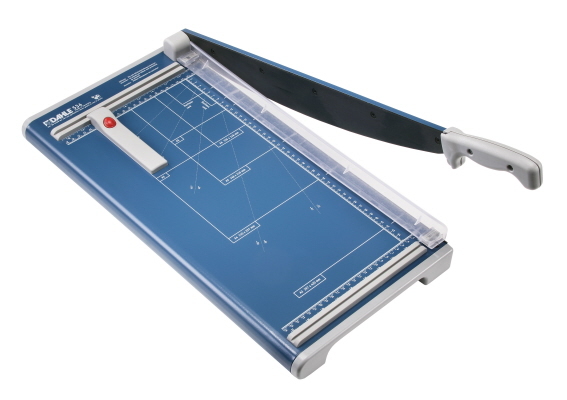 These trimmers will cut mat board and up to 35 sheets of paper with ease and precision. Available models are: Dahle 533, 534, 561, 564, 565, and 567. 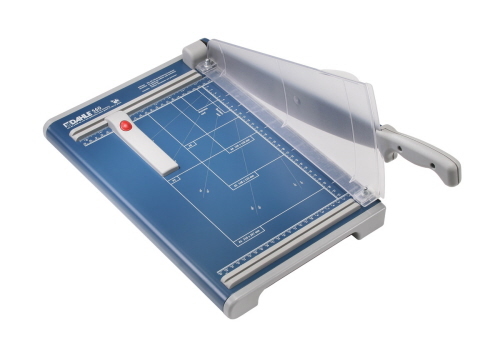 The Dahle 533 Premium Guillotine Paper Cutter are performance personal trimmers designed to last. With a self sharpening steel Solingen blade and large sheet capacity, you can depend on this model for years of precision cutting. Backed by a lifetime manufacturers warranty, and high safety standards - the Dahle premium model line is recognized as the leader in cutting solutions world wide. 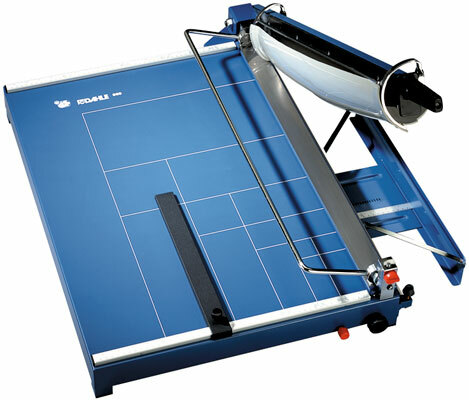 The Dahle 534 - 18" Premium Guillotine Paper Cutter / Trimmers offers the same unique high performance standards in this line of equipment. When working with paper as a craft or for professional business use, accuracy is everything. 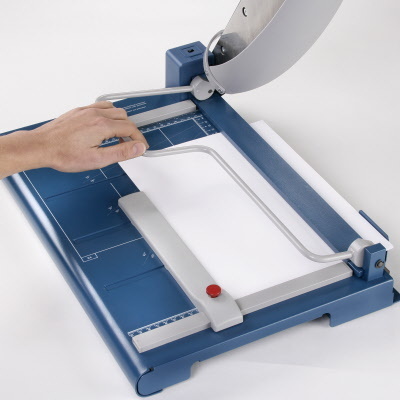 Card stock, arts and crafts, scrap booking, photographs and any other material is easy to cut using this line of equipment. You can expect a burr-free, precise edge time and time again! Lightweight and portable, durable and flexible. Stores easily under the desk or in a drawer or storage bin. 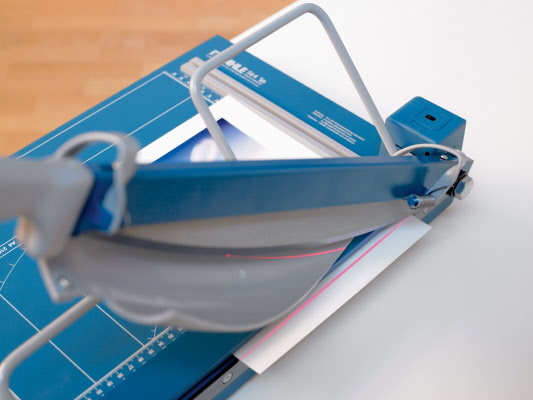 With the all new Dahle 560 Guillotine Paper Cutter (lever style), safety is a top priority. 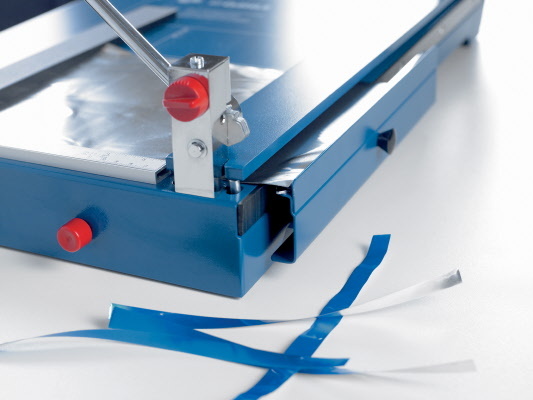 The new integrated acrylic blade guard doubles as a paper clamp and completely protect fingers during cutting. 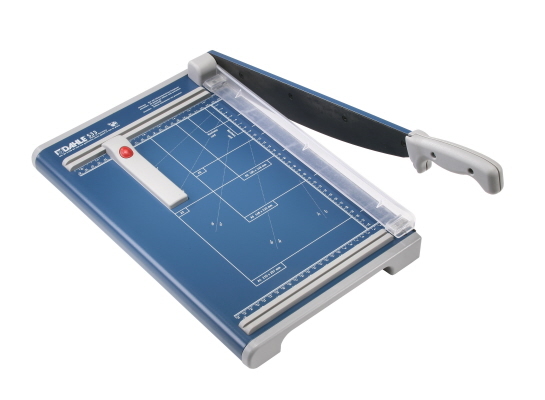 The hallmark of Dahle guillotines are the perfectly honed self sharpening blades. The Dahle 560 is no exception! 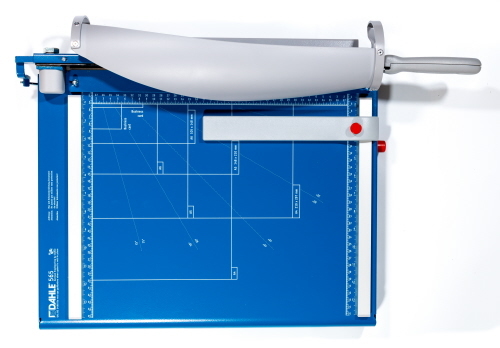 Featuring a 13 3/8" working length, and up to 25* sheets, this cutter exceeds a professional photographers, print shop and graphics design studio requirements. 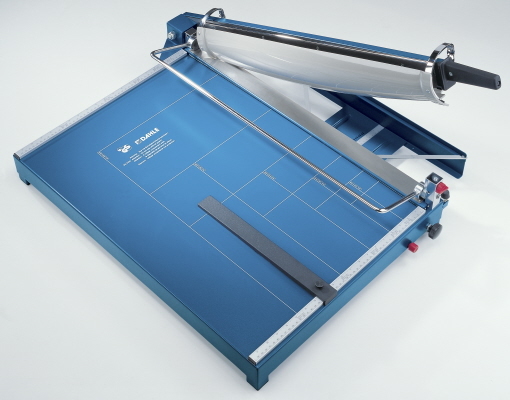 Dahle 561 Premium Guillotine Paper Cutter has been re-designed with a new look and new features! With a new blade guard that swivels for safety as you pull down the lever cutting blade. Portable, lightweight and small footprint - you can easily move and use this unit on any desktop, table or counter surface in the mail room, print shop, copy center or office. Easy to store and easy to move. 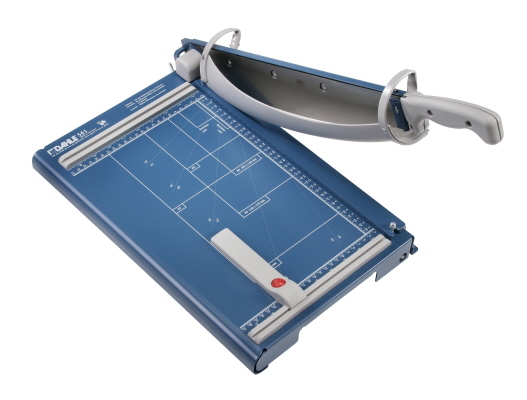 Dahle 565 Premium Guillotine Paper Cutter is one of the finest precision models available today. Effortlessly produces accurate and clean cuts every time and includes safety swivel blade guard. This trimmer is a workhorse built for personal, commercial and print production tasks alike. With a generous 35 sheet capacity - it boasts one of the best capacities on the market for heavy duty use. Taking a leap forward in trimmer technology - the Dahle 564 Premium Guillotine Cutter with Laser Sighting provides an advanced cutting solution with a high 40 sheet capacity. 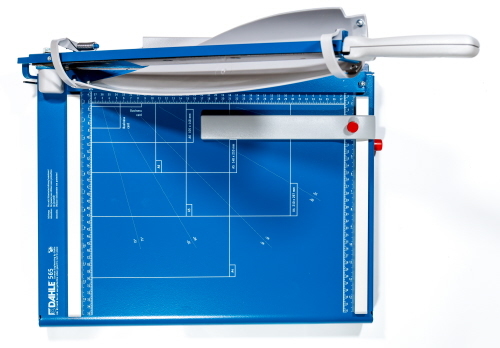 This Dahle cutter comes with a lever paper clamp for added stack pressure while trimming larger sheet stacks, photos and more and has a reverse measuring stop guide to the right of the trimming blade. Dahle 567 Premium Guillotine Paper Cutter is also one of the finest examples of professional craftsmanship in this line of trimmers. This unit comes with a locking paper clamp and pull-out catch basin which doubles as a reverse measure back-stop guide. With a large cut area for up to 21 1/2", large back-stop and locking blade, and the added safety features - this model continues to show Dahle's quality and workmanship!